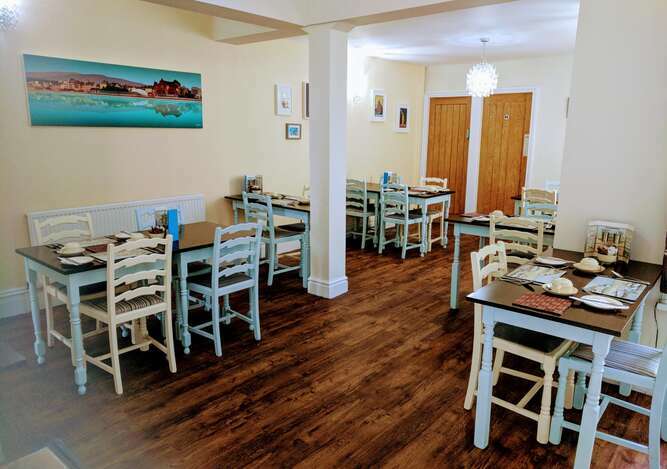 After a relaxing night's rest, enjoy a freshly prepared breakfast in our Guest House's breakfast room.We believe in supporting local businesses and as far as possible all produce used has been sourced from within the district . There's plenty to choose from and something to suit every guest. Help yourself to fresh fruits, fruit juices, grapefruit segments or prunes. 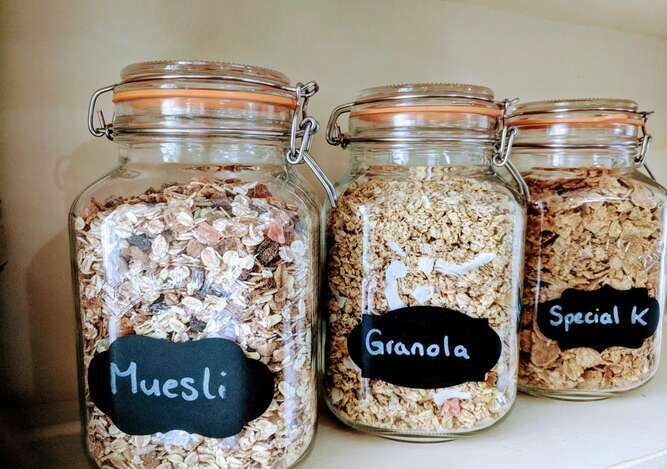 There's a large selection of cereals including, to order, freshly made porridge. We use Fair-Trade filter coffee, tea and sugar. You can opt for decaffeinated tea and coffee or, if you prefer we carry a large selection of fruit and herbal teas and hot chocolate. 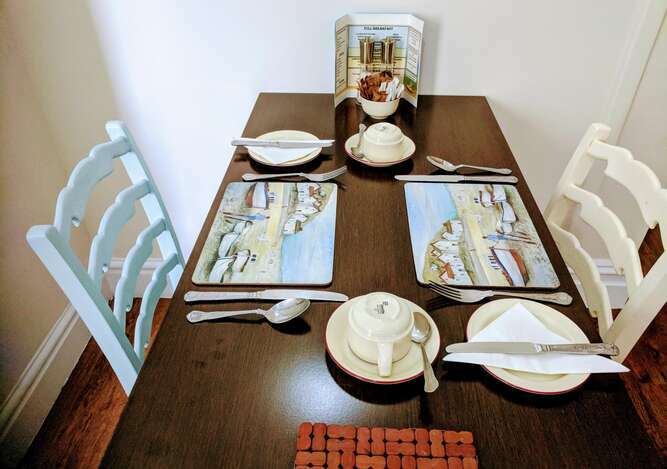 Then there's the Guest House speciality, guaranteed to set you up for the day - A Traditional Full English Breakfast, or you can create your own by choosing any combination of ingredients. You can have smoked Salmon with scrambled or poached eggs or try a local treat, a delicious, toasted Lancashire oven bottom muffin topped with eggs or bacon. Vegetarian sausages and gluten free bread are always in stock, and soya milk is always available.